It’s a double celebration for Serenliving this month! 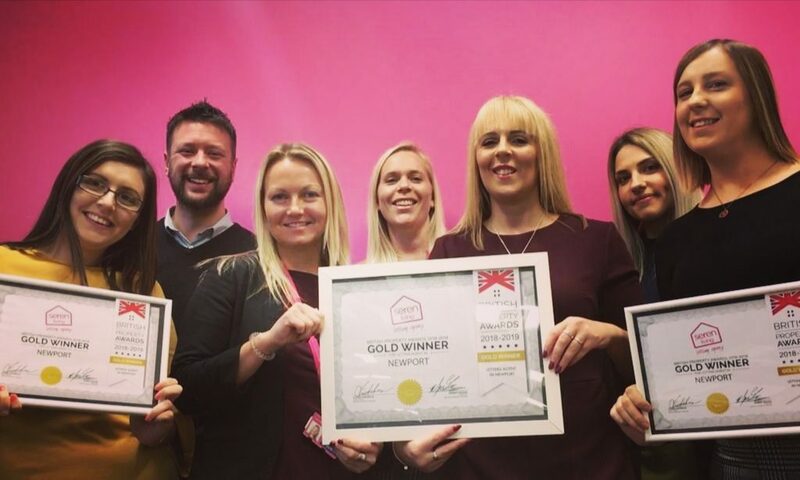 they have not only reached their 10 year anniversary, they’ve been awarded gold at the British Property Awards; the only agency in Newport to receive the award. The annual British Property Awards are one of the most inclusive estate agency awards, as participants do not pay to enter. As part of the judging process, lettings agencies throughout the UK are assessed by a team of mystery shoppers, judging against a set of 25 criteria. Serenliving performed “outstandingly throughout the extensive judging period, which focused on customer service levels” in order to attain their gold award. Headed up by Agency Manager Emily Samuel, the small team of 8 professionals have over 50 year’s industry experience between them, providing landlords and tenants across south Wales with a first-class lettings service. “The lettings sector is a highly competitive marketplace. To win this coveted award ahead of 14 other experienced Newport agencies is testamount to the consistently high level of customer service delivered by our passionate Serenliving team”. She added “To win the accolade the same month as our 10 year anniversary has really been the icing on the cake”. So what’s their secret? In addition to their award winning customer service and hardworking workforce, Serenliving aren’t your usual lettings agent. Established as a not for profit business, naturally their focus is on their landlords and tenants, but they also reap the benefits of being part of our large housing group. All profits generated by Serenliving are ploughed into the Pobl Trust; a registered charity within their Group that actively improves the quality of life for people and communities in areas where the Group works. A local project already benefitting from £3,500 funding is ‘The Woodshed’, an Aneurin Bevan Health Board rehabilitation programme for people with mental health issues in Caerleon. Serenliving operate a full lettings service across Newport, Caerphilly, Monmouthshire, Torfaen and Cardiff. If you are looking for a high quality property to rent or a reliable award winning agency to manage your property, call Emily or the team on 01633 678545 for a friendly chat.